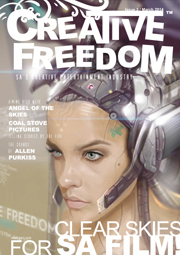 Originally I wrote this article for the Indie Comics SA website, but unfortunately the site has closed down. This article contains a guideline process that focuses on converting your story into a comic book script. 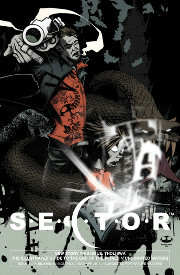 It is aimed at anyone who is interested in writing a comic. The article does NOT focus on how to write a good story, good story structure nor good characters. Before you begin, you should have most of the following available. At the very least you should have the “story notes” and “story order of events”. 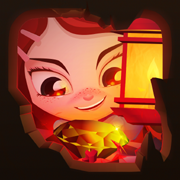 These can include all the story’s rough notes, ideas and detailed notes. It should include all the notes from the team members, if you are working in a team. It is always a good idea to make character notes. Especially for the main characters and ones that have an impact on the story. These help shape the story and help determine how characters will behave. Therefore it is extremely helpful to include each character’s motivations in your notes. If the artist (or you, the writer) has done any drawings or concept art, it is a good idea to keep them on hand when writing. These can include character sketches, vehicles/spaceships, ideas for specific panels, action shots, etc. They may inspire you and help with the overall atmosphere of the story. You can jot down any specific dialogue ideas you have. But when you write the script, try not to force the dialogue into the script. The dialogue should evolve with the script and be relative to what is happening at that point in the story. It is usual for dialogue to change during the script editing process. Basically info about what happens in the beginning, middle and end. Which events must happen before another event? What info must be revealed before an event takes place? The story needs to make sense and the order of events help it make sense. When you write a script you have the whole story in your head, so it is easy for you to understand what is going on. Unfortunately the reader does not have access to the info in your head. Therefore you have to make sure you include everything the reader needs to know in your script, specifically in the visuals, captions or dialogue. It is a good idea to make a list of everything you want the reader to know, so you can tick it off when you write the script. Also check the list after the script is done to make sure you did not accidentally remove any from the script during editing. The “list” can also just be text you highlight in your story notes, so it does not have to be a separate list. Essentially this list is anything you HAVE to remember to include in the script. For example: Sometimes, something as simple as a character’s name may be forgotten and never mentioned in any of the dialogue. The writer knows the name, but the reader has no clue! Before we look at the writing process, let us first look at a comic book script format. 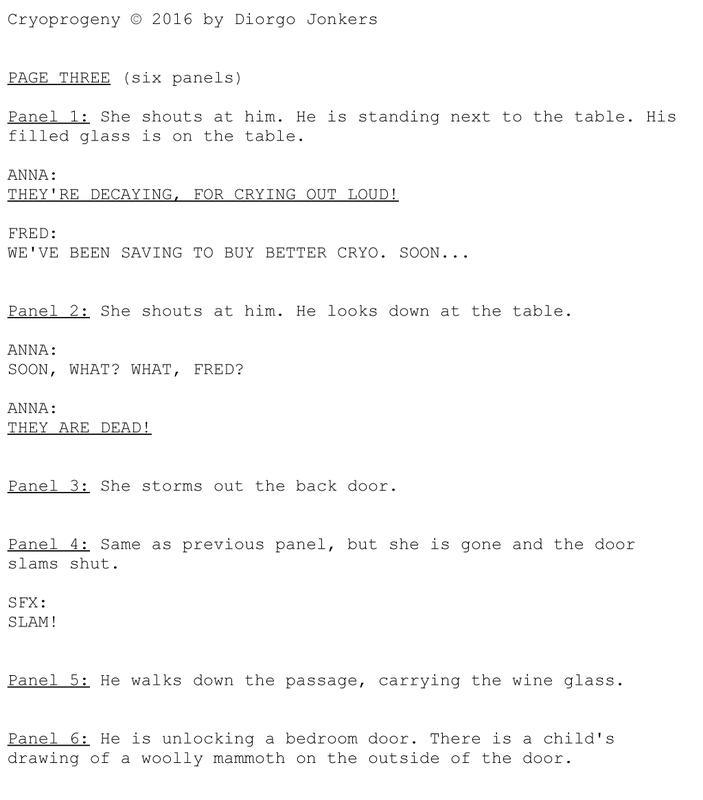 Make sure you use a standard comic script format as a starting point for writing your script. The formats have been tried and tested over many years, and the artists and letterers will thank you. (And hopefully want to work with you again!) You can develop your own format, one you are comfortable with, but I recommend you do not deviate far from the standard ones. Their format guide is simple and contains guidelines on how many panels per page, words per balloon and per panel, how to format dialogue and sound effects, etc. You should have an idea of how many pages your comic is going to be. Ideally you should decide before writing the script, so you have a good idea of how to break up the script into pages. When writing a story that has multiple chapters or parts, decide on how many pages each will have. This will help you write the script with a cliffhanger, or something interesting, at the end of each chapter. Tip: If you are writing a long story that does not have chapters or parts, then it helps to first break the story up into manageable segments. Then write a separate script for each segment. Tip: If you are writing a short story for a publication make sure to check what their page requirements are. 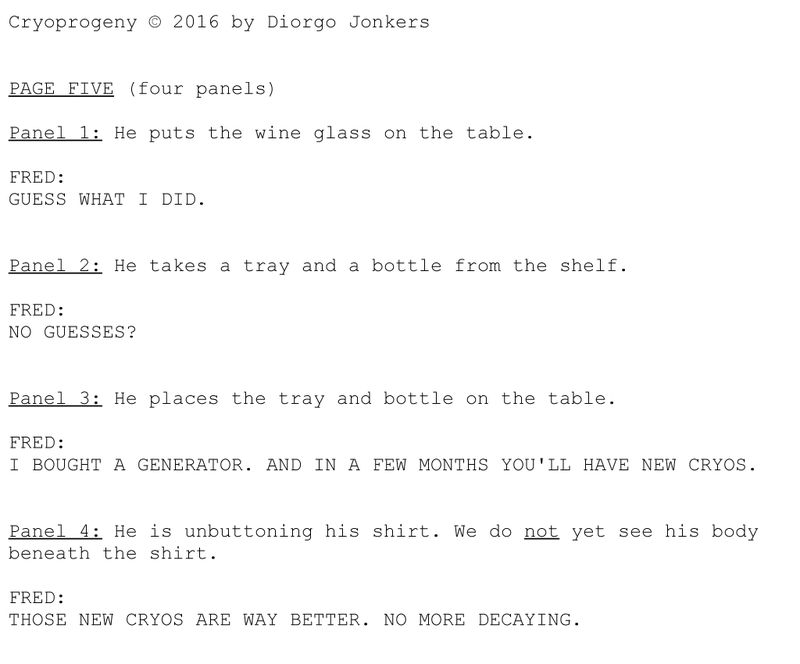 For the rest of the article we will use an example story, Cryoprogeny, to help illustrate each step. The script will be 6 pages long. The first step is to write your story’s detailed outline. The outline is a blueprint of everything that should go into the script. The outline can use your “story order of events” as a starting point. Then add in all the relevant details from your story notes, character notes, dialogue notes, etc. 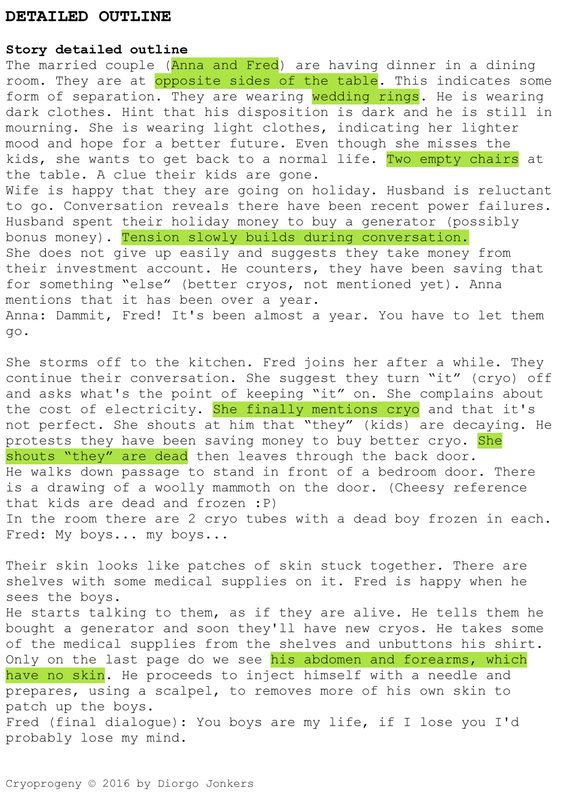 Below is the example story’s detailed outline. The green highlighted text are important things the reader should know (i.e. things that must be included in the script). Break the story’s detailed outline up into pages as they will appear in the script. 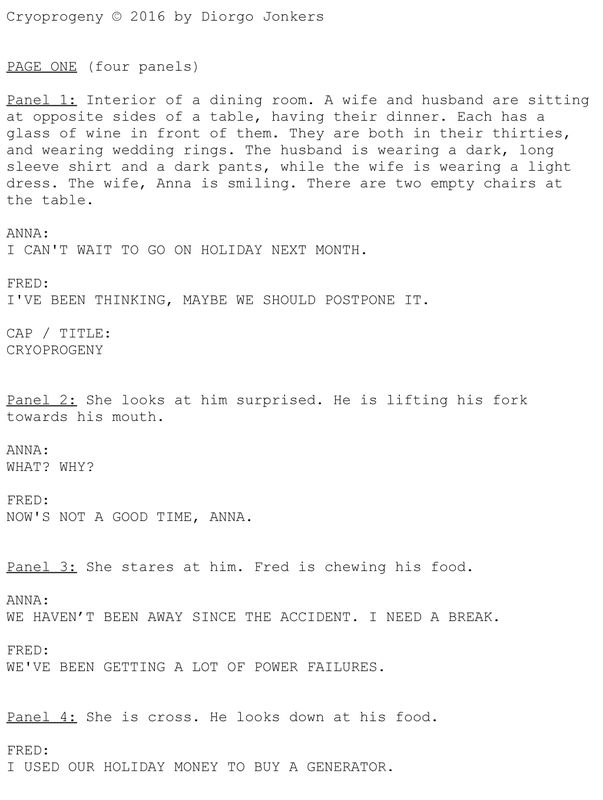 The page breakdowns will serve as a guideline when writing the script. You can tweak them while you write the script. You have to go through the outline and decide what you want to happen on each page. It is a good idea to keep the number of things per page limited. If there is too much then the page will be crowded and difficult to draw, letter and read. Keep the number of panels per page in mind to get an idea of how much you can cram into each page (e.g. action scenes usually have 3 to 4 panels per page, non-action scenes usually have 5 to 6 panels per page). In rare cases you can have up to 8 panels on a page (if they are small with little to no dialogue), but you should try not to have more than 6 per page. Tip: If there is a drastic change in view or time then it is usually (not always) a good idea to put a page-break between the two different views or times. (Examples: The view may change from inside to outside, or to a different scene. The time might change from morning to evening.) Although, this also depends on personal taste and style of the comic. It is fine if you want to have scene changes happen in the middle of a page. At least now you are aware of them when you write your script! Break each page up into the estimated number of panels. (They can also be tweaked while you write the script.) During this process you can also add notes for dialogue, captions and sound effects. Please note: The process can be done directly in the script when you write the first pass of the script. The example below is to illustrate the thought process. 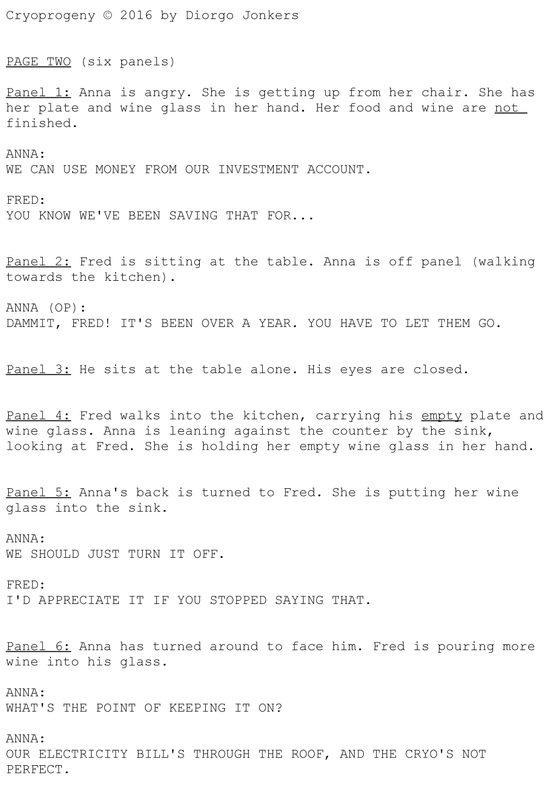 For the first few scripts, you may want to do the panel break ups in a separate doc, to get used to the process. Try it out and see which process works best for you: doing the panel break ups directly in the script, or in a separate doc. I do either, depending on the story and time available. Now for the hard work, and the fun part! Write your comic book script. 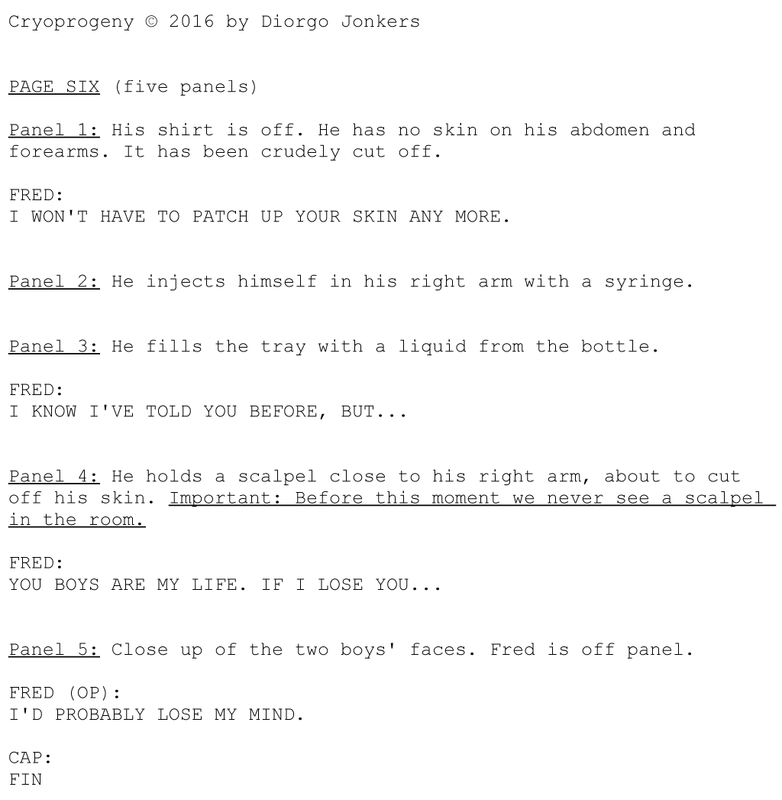 Use the panel breakdowns to write your script. If your panel breakdowns were detailed enough then the first pass of your script should be easier: you basically need to take all that info and put it into a script format. Remember: Make sure you use a standard script format as a starting point, such as Dark Horse’s one mentioned earlier. The main reason we did the detailed outline and breakdowns is to make the script easier to write, especially for new writers. Having to write a story out of thin air AND writing it into a comic script format at the same time might feel overwhelming. Having the earlier steps also help finalise (to a point) your story. If you were to write directly into a script then it will be more troublesome when you make major changes to the story. The entire process before this was to get the first draft of your script. Now it is time to re-read and edit your script, multiple times. This usually improves the script. Sometimes it improves so much that it may surprise you when you compare it to your first draft. If you have enough time then it is a good idea to put your script away for at least a day before going back to it for the next round of editing. You may also find that you change things which you thought were set in stone. You may even end up removing or changing entire pages. When you are happy with the script give a copy to someone else to read through. Especially someone who has no idea what the story is about. If they know the story then they are more likely to miss holes in the script. This person can be a friend, and it may be helpful if they are also a writer or an editor. Make sure you let them know by when you would like to get feedback, or else they might think there is no deadline. Think carefully about their feedback. If they ask questions or say something is not clear then check if you missed an explanation or info in the script. They will also point out spelling and grammar problems. Gather all your story’s info. Use a standard comic script format. Decide on number of pages. Break the outline into pages. Break the pages into panels. Hopefully this article, or some of it, will help you on your way to writing comic book scripts. And if you have your own processes worked out, please share and let the rest of us know. Keep at it and eventually you will get better at writing. South Africa, and the world, always need more good comic book writers. Update: The article has been republished here. 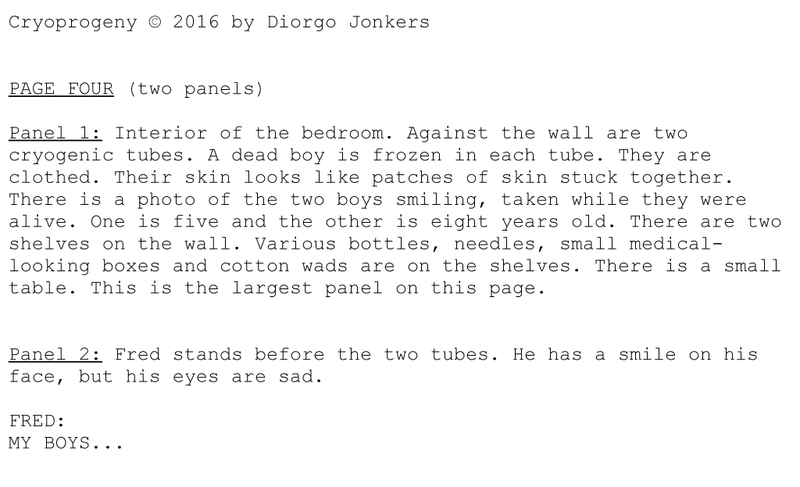 I wrote an article for Indie Comics SA about the process for writing a comic book script. It contains a guideline process that focuses on converting your story into a comic book script. It is aimed at anyone who is interested in writing a comic script. 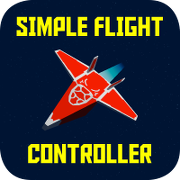 Here are game development articles I wrote.